Attending more weddings than you can count this summer? Already wondering how you’ll make it through the season with both your sanity and savings in tact? Here are ten ways to start prepping for wedding season now, so you’ll be ready when your friends’ big days consume your calendar. 1. Start stocking up on wedding-worthy attire. Is your wardrobe totally ill-equipped to attend multiple weddings? Hit the sales early to stock up on dresses, suits, and cocktail attire for your summer weddings. 2. Clip those coupons. When buying gifts for the couple, don’t forget about coupons. Popular retailers like Williams and Sonoma, Pottery Barn, and Crate & Barrel have occasional sales and some provide discount codes for joining their mailing list. Another trick? Sign up for Bed, Bath & Beyond coupons. They send weekly discounts, and their coupons never expire! 3. Consult your little black book. Start thinking about who you’ll bring as a plus one to your pal’s big day. You might want to rekindle old flames or catch up with old friends before choosing your plus one. 4. Find couches to crash on. If you can, stay with a friend who is local instead of paying for a hotel at every wedding you attend. Start planning now so you can ask to crash, and don’t forget to return the favor! 5. Book accommodations early and consider other options. If you must pay for accommodations, make sure you book early to take advantage of the best possible deals. Also consider non-traditional housing options, like Airbnb. 6. Get a credit card that earns you mega miles. Planning to spend a lot this wedding season? Take out a new credit card that lets you collect miles or other money-saving rewards. 7. Plan your personal travel around weddings. Having a full calendar of weddings doesn’t mean you can’t plan a little travel for yourself. Try to tack on a few days before or after the wedding to explore nearby destinations. 8. Start racking up your PTO. Make sure you have enough paid time off saved up if you need to take a few extra days this summer. 9. Buy cards in bulk. Many stores will offer discounts if you buy multiple cards at once. Buy all your wedding cards for the season at the same time to save a little cash. 10. Hit the registry early. The early bird gets the worm. (Or the reasonable registry gift!) Purchase your wedding gift before others so you’re not left with the big ticket items. 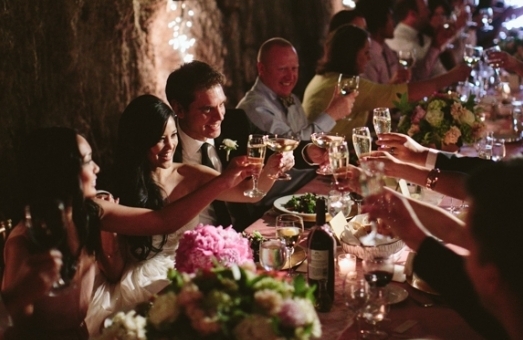 Get more wedding guest tips now!